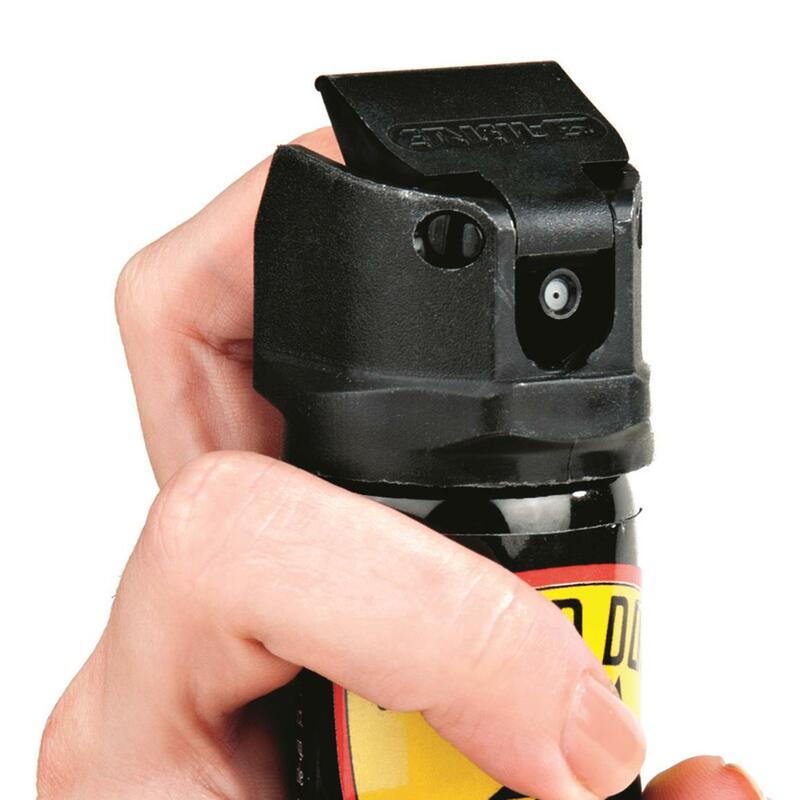 Fast defense and lasting identification from a single spray. 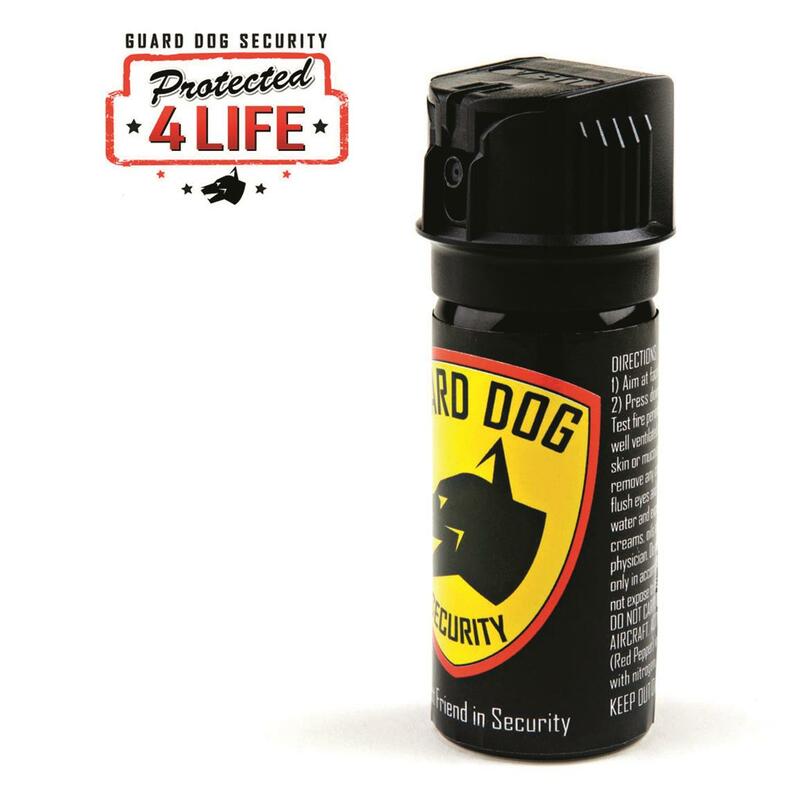 Get a defense spray that works instantly and leaves an identifying mark with Guard Dog Flip Top Pepper Spray. Canister contains 2 oz. of devastating 18% Oleoresin Capsicum (OC) or "red pepper" combined with a UV dye in a fast-deploying, flip-top design. 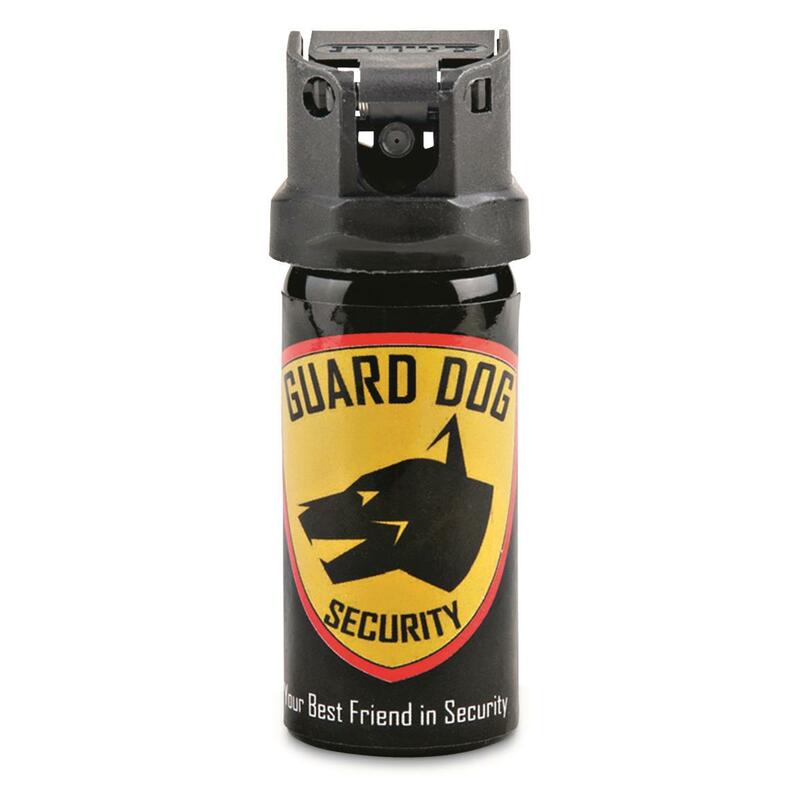 Fires a straight spray up to 15' so you can keep your assailant at arms length when discharging this laboratory tested formula. Plus, the UV dye in the formula will mark them for later identification by authorities. It's protection now and proof later. Replace any partially used canister thanks to the exclusive Guard Dog Protected 4 Life Program. Simply register your purchase with Guard Dog and get a free replacement from the manufacturer in the event of use when you properly report it.